Many thanks to the generosity of ShopRite customers for donating over 2,700 pounds of food to the Columbia-Greene Humane Society/SPCA’s free pet food bank! The event was sponsored by Bill Williams and 98.5 FM The Cat, Oldies 93.5 FM and WRWD Country 107.3. 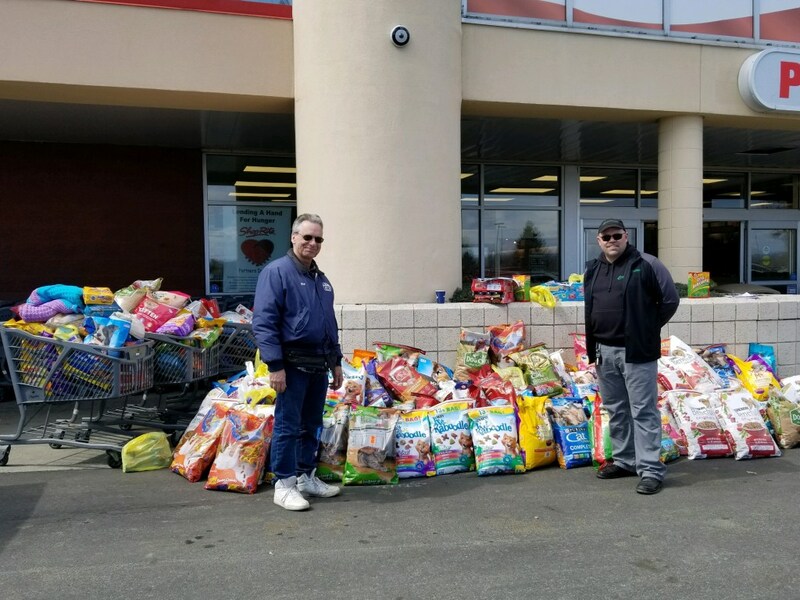 Pictured are Bill Williams (left) and CGHS/SPCA President Ron Perez (right) in front of the Greenport ShopRite with food donated from ShopRite customers.